The Miss Universe Ghana Organization will host a press event on 1st June 2017 at Carbon, located in the penthouse of Icon House from 6-9pm to announce details for the upcoming Miss Universe Ghana competition that will occur in September. TV/Radio personality, KOD will serve as host of the event that will bring media, sponsors and dignitaries together to celebrate the pageant which Ghana has participated in since 1991. 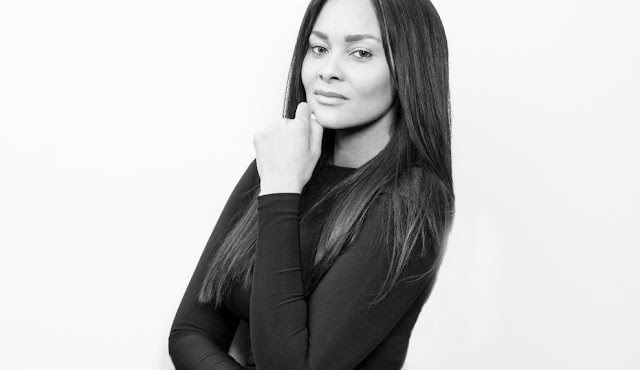 Entrepreneur, philanthropist, and former Miss Universe Ghana, Menaye Donkor has been appointed as the Miss Universe Ghana National Director and her company, MALZ Promotions will handle all aspects of event direction, show production and selection of Ghana’s next representative to the international pageant. "As a former titleholder, the Miss Universe experience taught me a great deal and has shaped me to be the woman I am today. I am very passionate about building and maintaining the reputation of the Miss Universe Ghana pageant in my role as National Director. I am also extremely motivated to offer the same opportunities that I was given to other young Ghanaian women," says Donkor who won the title in 2004 and went on to represent Ghana at Miss Universe in Quito, Ecuador and was voted among the top 5 beautiful faces in the competition. The Miss Universe Organization is built on a foundation of inclusion and continues to celebrate the diversity of women. Ten thousand young women around the world participate in Miss Universe pageant events annually. The mission of the organization is to provide the tools which help women to be their personal best. Self-confidence is the key. Every woman should have the confidence to stand up in any situation and declare, "I am confidently beautiful!" Many contestants and titleholders that have gone through the Miss Universe system have cultivated their personal career goals and advocated for humanitarian issues with careers in government, business, finance, broadcasting, and film and television. "Participating in Miss Universe taught me how powerful I am as a woman, and through it I have become resilient and capable to do all things I put my mind to. As they say, "Once a queen, Always a queen" and as a former Miss Universe winner, I will continue to represent Ghana at the highest level wherever I go in the world,” adds Donkor who has also developed and founded the luxury Italian skincare brand SHE-Y which uses ethically-sourced Shea butter from Ghana. SHE-Y plays a part in creating more job opportunities in Shea Butter production and donates a percentage of sales towards The Menaye Charity Organization which provides free quality education for hundreds of less fortunate children at The Menaye School of Hope. Following the press launch event on 1st June, Miss Universe Ghana Organization will begin accepting applications towards the competition which will take place on 2nd September in Accra. Interested Ghanaian women living in Ghana and abroad may enter to participate in Miss Universe Ghana at the official website www.missuniverseghanaorg.com beginning June 1st. The Titleholder will go on to represent Ghana at the 2017/2018 Miss Universe Pageant.